I don't plan on turning this opening paragraph into my Kickstarter spotlight of the week, but a brilliant artist from my town, Tim Doyle, has launched a stunning book with the option to buy some of his iconic Unreal Estate prints. I have a few of his prints up on the walls and they are even more wonderful in person. His take on pop culture landmarks is well worth checking out here. Batman Teenage Mutant Ninja Turtles #3 - Let the wave of nostalgia take over and flash back to your child hood when you made this crossover happen with your action figures. I think we all at some point took toys from two separate lines and created an epic crossover. That is just what IDW and DC have done and it is a blast. We are half-way through the mini-series and Shredder has big plans for the portal that bridged the two universes. His hopes of ruling both cities might be a stretch as, in what Leonardo describes as a "totally awesome team-up", the Dark Knight is fighting alongside the Turtles. 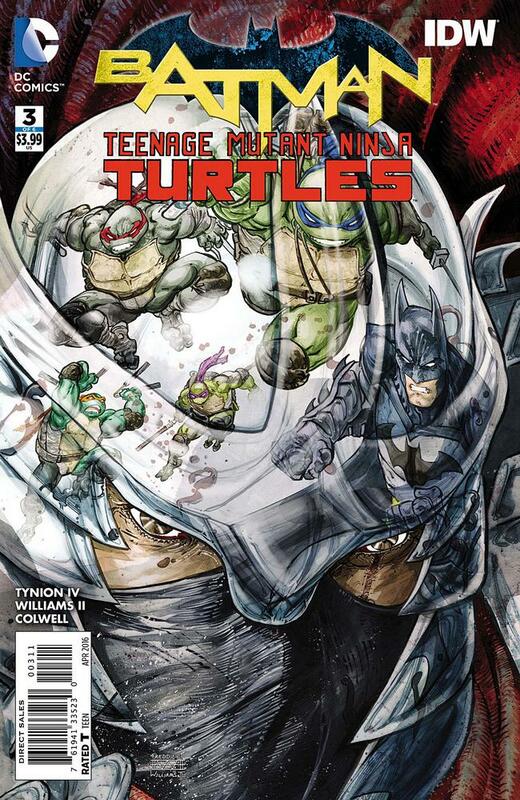 Packed with classic TMNT humor and an all-star cast of Batman characters, this is a must-read series. I don't want to spoil anything, but if you like the idea of the Penguin being put in his place and assigned to the Foot Clan by Shredder, then you need to go read this series. Batman #49 - I was hoping for the return of Bruce Wayne as the Batman, but Scott Snyder had a quick trick up his sleeve before giving us the showdown of Batman vs. Bloom that we are all waiting for. As Bruce Wayne realizes who he is, he isn't prepared for the emotional battle that he has to have with Alfred. Alfred has lost Bruce in the past, and has no plans of losing him again. The conversation before the two is incredibly sweet and their relationship has always been one of my favorite aspects of this series. Mix in a psychedelic trip down memory lane and Batman is back! It is just a shame we have to wait until the next issue for the epic showdown. Darth Vader #16 - We are treated to a new arc as Vader opens this issue gifting the corpse of Commander Karbin to the Emperor in an amusing open to "The Shu-Torun War". I still quite enjoy the back and forth between an arrogant Vader and an Emperor who is still grooming his apprentice who hasn't earned his place yet. The new arc brings us to the planet of Shu-Torun, where Vader must assist the new leadership to gain control of the rich ores that the planet possesses. We once again witness the power and how strong of a force Vader is and I look forward to seeing where this arc takes us. 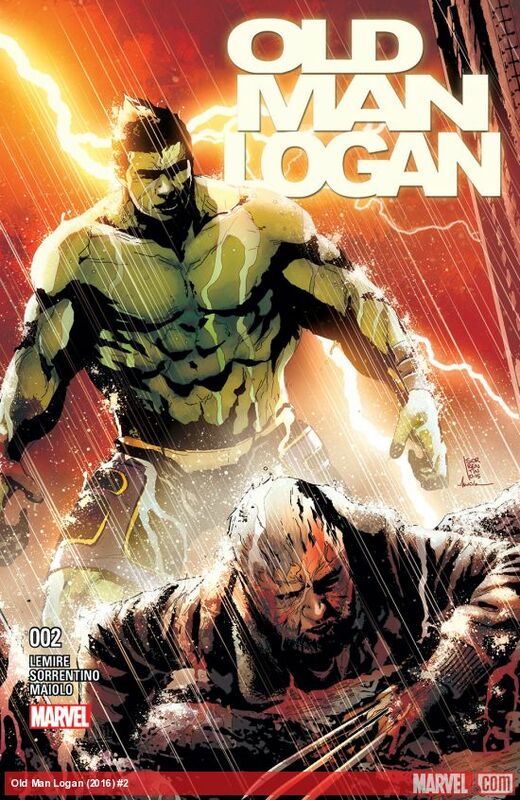 Old Man Logan #2 - After taking out The Black Butcher in his "Back to the Future" quest in the past to set things right in the future, Old Man Logan needs to take down Bruce Banner. What Logan doesn't realize, and I didn't either due to my lack of interest in the latest event or a twist that is being thrown into this series, but Banner is no longer the Hulk and the heroes that he is seeking may not be who he thinks they are. It definitely is a nice bit of depth added to this series to make it more than your run-of-the-mill kill the people on my list stories.